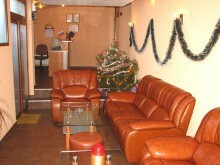 Family Hotel Boyanova House is one of the first family hotels in Bansko. Improving constantly over the years, in 2008 reached its final brilliance and turned into a desired destination for vacation in Bansko. All these years, we gathered rich experience in meeting guests from all over the world. Hotel Boyanova House /bg. 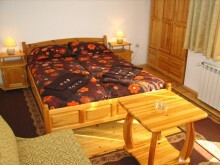 Boyanova Kashta/ is located in the center of Bansko and only 900 meters from the starting station of the cabin lift. In close proximity are the church Sveta Troitsa (one of the oldest churches in the region), historical Memorial of Paisii of Hilendar, Neofit Rilski House Museum and other cultural and historical landmarks. 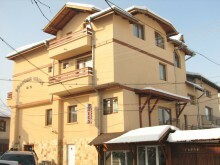 Capacity of Boyanova House is 10 double rooms and 2 suites. All are equiped with own bathroom, cable TV and central heating. The Wireless Internet access, will give you the opportunity to access the network even when you're on vacation. Most rooms have a sunny balcony with a splendid view of the Pirin mountain. The Sauna and the steambath will become an indispensable part for relaxation after the busy ski day. If you still feel tense, the massage studio offers various kinds of massages.